Unlevel Concrete? Tree Root Damage? No problem. At Aronson Landscape, we specialize in creating inviting and beautiful landscape designs that blend harmoniously with the residential or commercial spaces that they surround. Founded in 2008, Aronson Landscape works with clients to develop and maintain landscapes that provide form and function to complement and enhance residential and commercial properties alike. 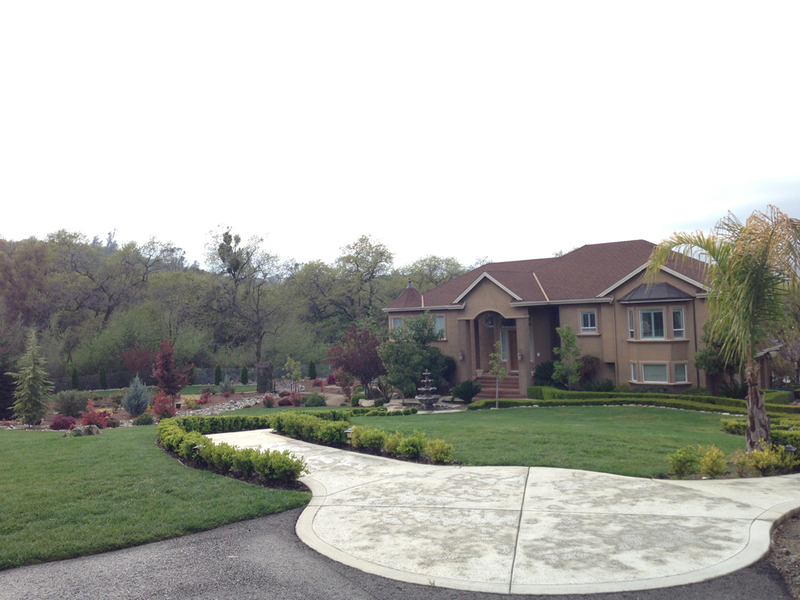 We provide landscaping design services and maintenance services to both residential and commercial properties throughout the Sacramento area, including Auburn, Rocklin, Granite Bay and surrounding areas. 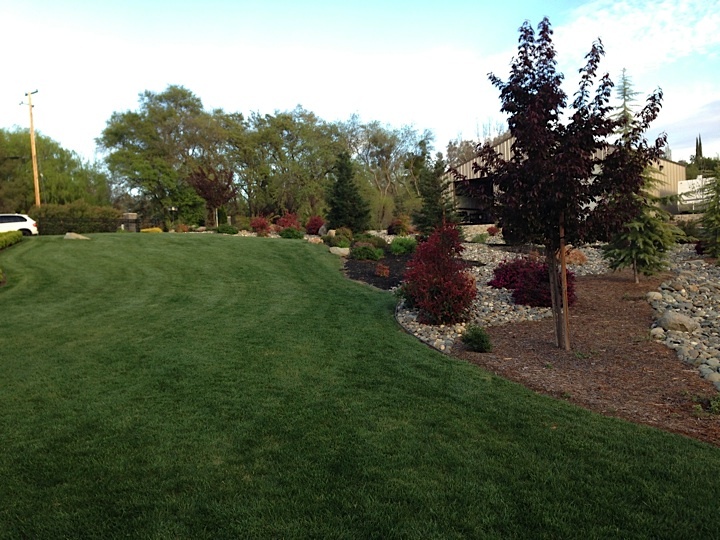 Our skilled staff offers an array of services, from landscape planning and design, to annual and ongoing maintenance. With years of experience and dozens of satisfied customers, Aronson Landscape works to design, install and maintain the elements that will fit your budget and make your property shine. 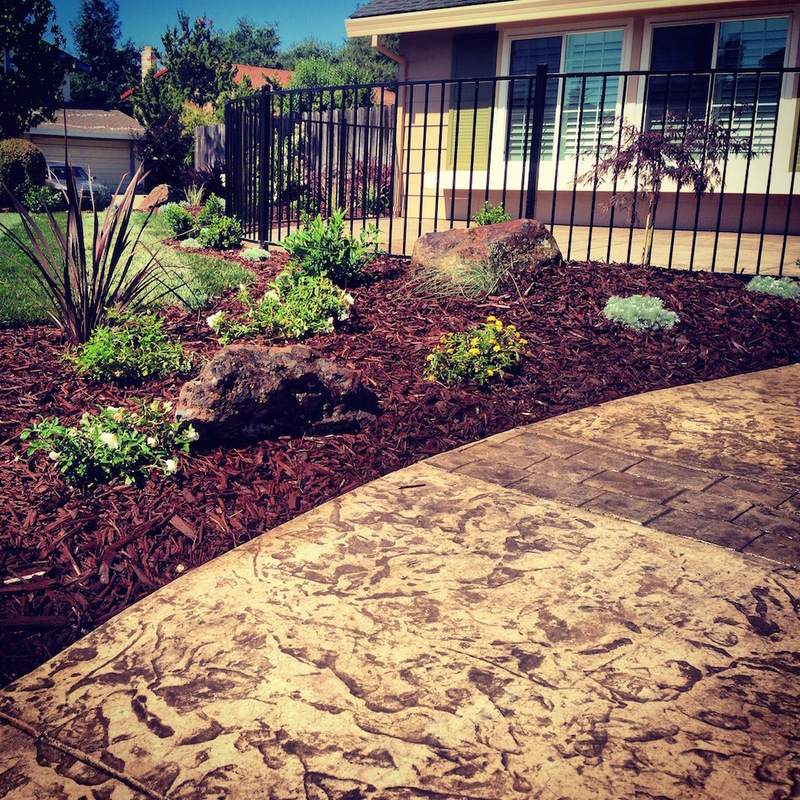 We take pride in providing exceptional landscaping service with professional results. We work with homeowners, contractors, designers and property managers to create landscapes that thrill, inspire and endure. Your property is an important extension of your home or business and we view our clients as collaborative partners in our work. Our landscaping services help you create the right environment for family and friends, clients, customers and employees. Founded by Levi Aronson, our company is a fully licensed and insured owner-operated firm. We value the friendly, personal relationships we establish with our clients. Our employees pride themselves on providing exceptional work and services to our clients. We care about the well-being of our clients, communities and the environment. We offer free estimates and the Aronson Guarantee. If you are not completely satisfied with our service and you do not see an improvement in your property’s appearance in the first 30 days, your first month of maintenance is free. 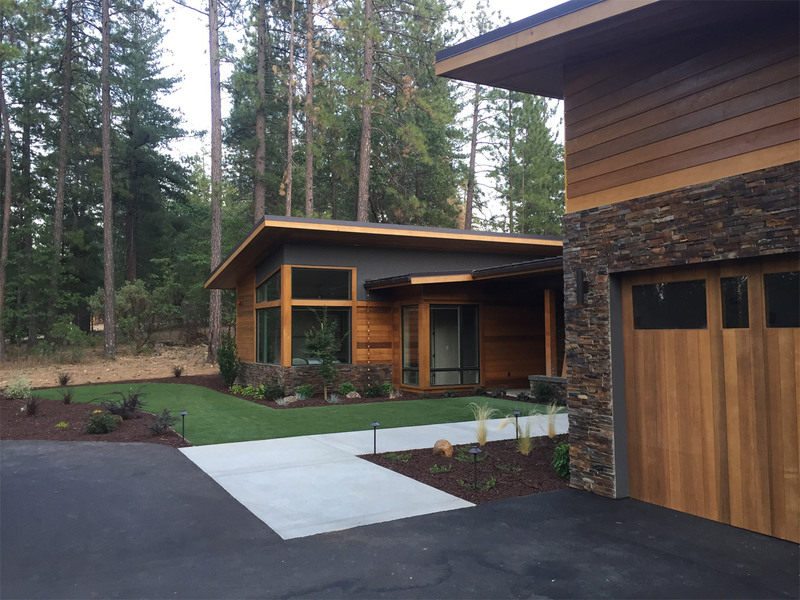 Working primarily with residential and commercial properties in Auburn, Rocklin, Granite Bay, Sacramento and surrounding areas, Aronson Landscape carefully plans your projects from concept to completion. 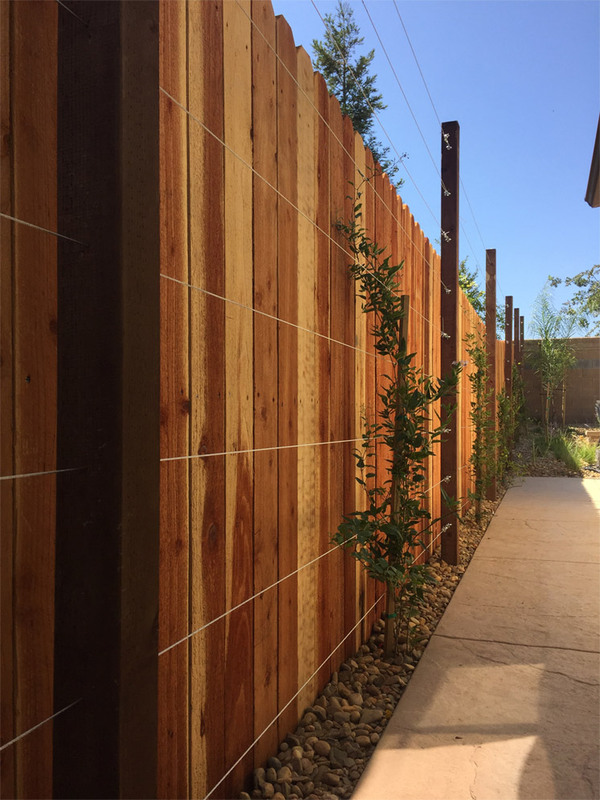 Incorporating plants, trees and shrubs with decorative, practical, and privacy elements, Aronson Landscape offers a range of products and services that add beauty and value to your property. Our staff works with clients at each phase of the design and installation process, from material and supply selection through construction. Landscape design is a creative and collaborative process. We provide direct consultations to clients or collaborate with landscape architects and landscape designers. We can create your design and plant palette, draw you plans, and assist you in landscape material selection. Our trained landscape designers will discuss your needs, review your property, conduct a site analysis, and recommend solutions including plantings and hardscapes that fit your needs, taste and budget. We also work with homeowners to find sustainable installations that conserve water and can reduce utility bills, including artificial turf which saves water and maintenance costs. We can recommend economical solutions that provide an upgrade to existing irrigation or sprinkler systems. Our systems use smart water controllers, drip system irrigation, rotary nozzles to conserve water. LED lighting systems use less electricity and last longer than traditional outdoor lighting. Our team has worked on properties of every size and shape. We can design and install a wide range of outdoor living spaces, from formal English gardens to exotic tropical settings to modern and abstract settings. Outdoor spaces can include a wide range of features and functions, including fireplaces, fire pits, pergolas, patios, pavers, stone work, pools, hot tubs, stairs, fountains, waterfalls, ponds, flowering plants and trees, annual and perennial flower beds, artificial turf, retaining walls, fences (made from a variety of materials), driveways, walkways, decorative concrete, curbs, gutters, grills, wet bars or full outdoor kitchens. 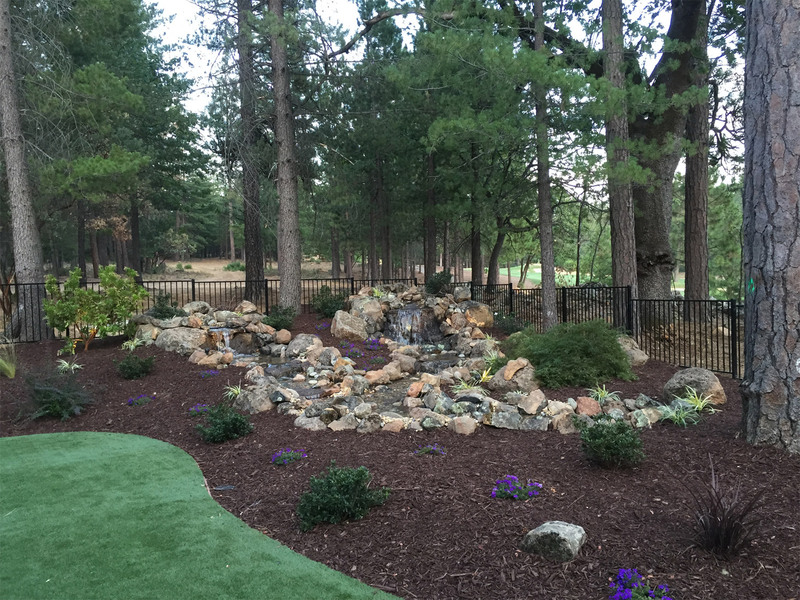 We take great pride in delivering completed landscapes that delight our clients. 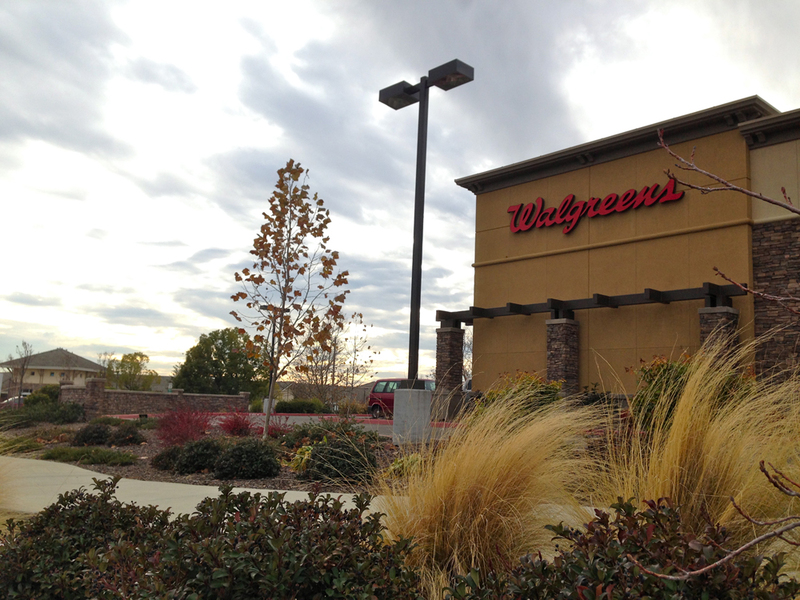 Commercial properties require landscaping solutions that are practical, efficient, easy-to-manage, and complement the business or businesses at the site. 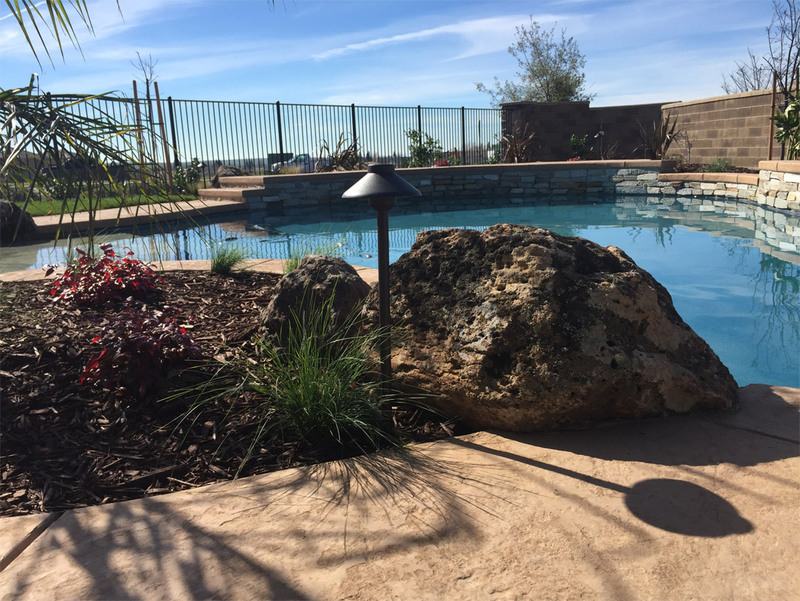 Aronson Landscape provides comprehensive design and installation services, whether for a complete site makeover, improvements to problem areas, or landscaping due to new construction or renovation. Our experienced team will discuss your needs, conduct a site analysis; recommend plantings hardscapes and lighting; and advise on irrigation, conservation and ongoing maintenance needs. Commercial properties often involve a wide array of needed features and function, including paved walkways, irrigation systems, security monitoring equipment, employee-only spaces, recreation areas, annual and perennial flower beds, sustainable landscapes including artificial turf, stairs, pavers, stone work, seating areas, retaining walls, fences (made from a variety of materials), driveways, walkways, decorative concrete, curbs, gutters, lawns and parking lots. With Aronson Landscape, you can be confident that we will develop the right design to meet all your landscaping needs. We understand the importance of conserving resources and reducing expenses. Aronson Landscape staff members are experts in developing environmentally friendly landscape solutions that are aesthetically pleasing, practical, and save clients on utility bills. 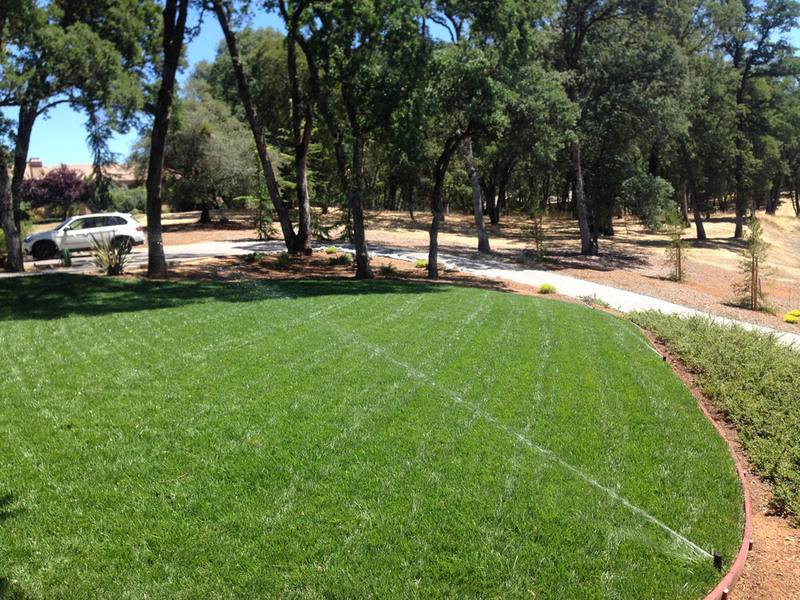 We can recommend economical solutions that provide an upgrade to existing irrigation or sprinkler systems. 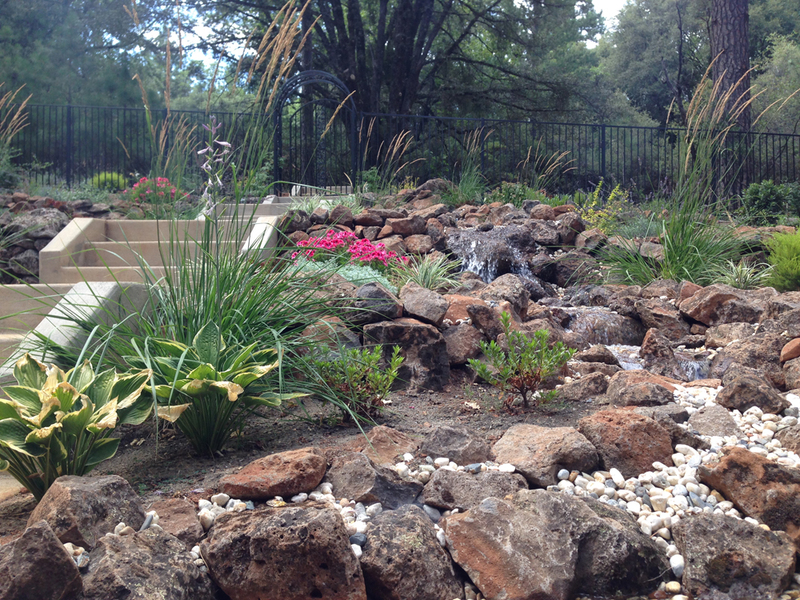 Our systems use smart water controllers, drip system irrigation, rotary nozzles to conserve water. LED lighting systems use less electricity and last longer than traditional outdoor lighting. We can recommend, design and install landscapes using artificial turf elements that use no water and require little ongoing maintenance. Keeping your property neat, organized and well-groomed requires a wide range of skills. Our specially trained teams ensure your property’s landscape is maintained with care and attention to detail. Our teams work closely with you to create a plan that meets your short- and long-term landscaping needs for keeping your property’s appearance and functionality at its best. The Aronson Landscape teams complete their work on time and on budget, making sure that pruning, weeding, trimming, cutting, equipment maintenance, and repairs are done carefully and thoroughly. Regular maintenance allows our professionals to monitor your landscape’s health and offer insights on how to enhance your outdoor space for the long term. With years of experience, our teams know when to prep, treat and maintain your grounds, keeping lawns lush and colors vibrant year-round. Aronson Landscaping offers outdoor space maintenance services from lawn care (including aeration, fertilization and mowing) and weed management to flower bed maintenance, tree and bush management and leaf removal. We can maintain, repair and replace irrigation systems and outdoor lighting, too. Property management is a complex task. Let Aronson Landscape provide critical services to keep tenants happy and safe. Whether it’s an office park, retail center, apartment or condo complex, public space, corporate campus, industrial park, homeowners association or other commercial space, our teams provide efficient, on-time, and on-budget services. Our teams work closely to develop a landscape maintenance plan that meets both short- and long-term goals, ensuring your property keeps its appearance and functionality for years to come. We work diligently on the proper preparation, treatments and maintenance of a well-manicured property that provides visitors, employers, guests and residents a pleasant and welcoming landscape. Our services go far beyond the basics. 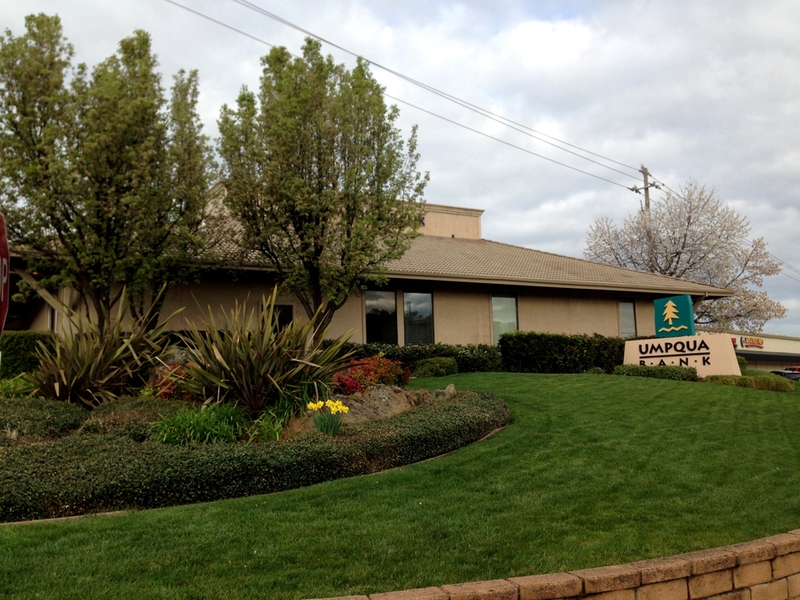 We pride ourselves on caring for the many elements of a commercial property, including comprehensive lawn care (aeration, fertilization and mowing), changing plantings to reflect the shifting of seasons, ensuring that trees and plants are carefully pruned, and replacing plant materials as needed. Regular maintenance allows our professionals to monitor your landscape’s health, regularly inspect installed irrigation and lighting systems, and offer insights on how to enhance your outdoor space for the long term. Aronson Landscape is a fully licensed and insured owner-operated company. To learn more about how we can improve the look and function of your commercial or residential property, contact us today. We will contact you to schedule an appointment. Aronson Landscape offers free written estimates on your landscaping project needs. Our work is backed by the Aronson Guarantee: If you’re not satisfied with our work and do not see improvement in your property in the first 30 days, your first month of maintenance is free. Concrete that appears to be uneven or damaged can cause serious hazards for both commercial and residential properties. 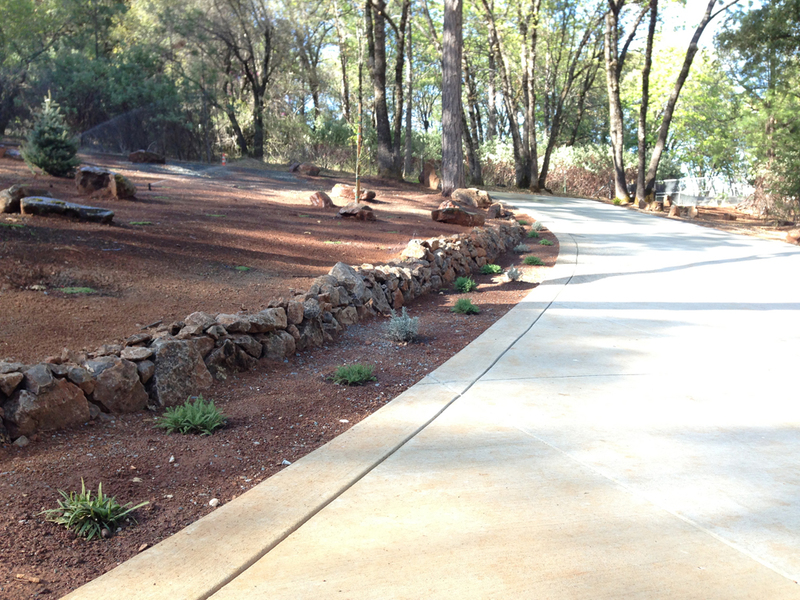 At Aronson Landscape, we are a top-ranked concrete contractor Sacramento that offers cost-effective engineering solutions for a variety of paving services in the area - Auburn, Rocklin, Sacramento, Vacaville, Fairfield, Bay area and more. We specialize in concrete repair and new concrete installation for outdoor areas including curbs and gutters, ADA ramps, and flatwork including driveways, sidewalks, walkways and patios. Our highly trained team fixes problems with concrete surfaces, both commercial and residential — business owners, property managers, utility companies, residents and school districts, as well as city and county municipalities. Don’t let concrete hazards scare you, we are here to help you. If you’re looking for a professional concrete leveling company your concrete hazards, look no further. Let Aronson Landscape handle it for you, and we will provide a free evaluation and estimate of your specific cny to repair and levoncrete problems for your multifamily, commercial or industrial property. Contact Aronson Landscape today at (800)308-6047 for more information.